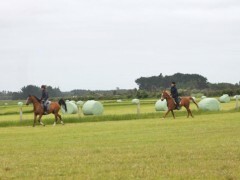 We’re pleased to announce that both Aurora Kool Kat and Woodlau’s Merlin (Mertz) have gone to a new home. 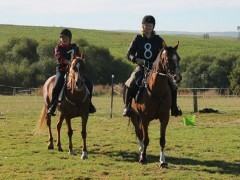 Aurora had a team of four at the final Mount Linton endurance ride of the season, with three of Omen’s progeny, Raffeah, Mystique and Kass joining seasoned campaigner Mertz at Jeff Farm for the Cup Ride on Saturday. 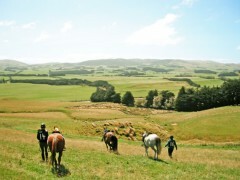 It was the boys turn to shine at the latest Mount Linton Endurance Club ride, at Wendon in Southland on Sunday. 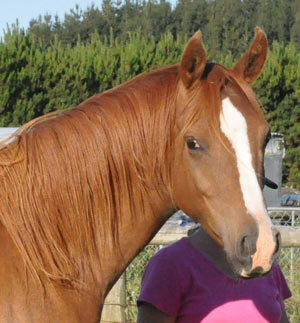 We’re very pleased with how our young Pilot colt is growing. He is a very friendly young fellow and calls out and comes to say hello when we’re riding the endurance horses out past his paddock. 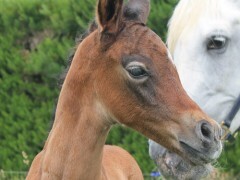 Marie Smith has sent us this video of her new arrival – a colt by Silver Omen and out of her thoroughbred mare, DJ. 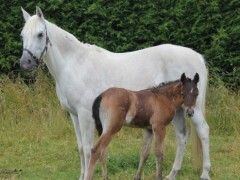 Cressie’s Pilot colt is a growing lad! 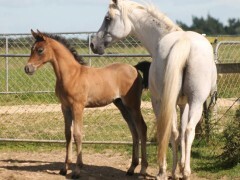 Our 50% Crabbet Pilot colt out of Silver Crescent is growing into quite the young man. 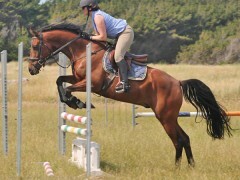 Omen’s warmblood son Brün has started jumping and is showing his talent over the fences. A few minutes before midnight on December 12 Silver Crescent welcomed her first son – a bay colt by the pure Polish sire Pilot (Fawor x Pipi). 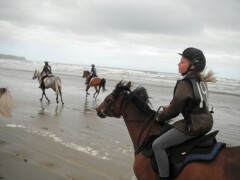 The three Silver Omen mares Raffeah, Mystique and Reniah completed their latest 40km novice run in 3 hours 34 minutes at Sandy Point at the weekend. A big welcome to Sophie Scemama de Gialluly, who is the latest member of the Aurora team. Sophie, 24, arrived straight from France on Monday after travelling for 60 hours!